After a few late night and early mornings this week, I was really looking forward to a relaxing weekend–and Indian food with our usual Friday night dates, finally back in the Bay after weeks of traveling! We brought most of the beer in our fridge (and so did they), and snagged our favorite little corner of the restaurant where we spent the next several hours. We were regaled with stories of their amazing Alaskan adventure, we told them about our Florida excursion and we terrorized the entire restaurant when we opened a bottle-conditioned growler that surely would have exploded within the weekend! After they turned the music off, we all tumbled home and John and I quickly fell asleep. The week must have wiped us out, because we woke up bleary eyed in the double digits! Our pantry was a bare, so we grabbed our coziest sweaters and braved the fog for fingerlings and avocados. Back at home, we brewed coffee and roasted potatoes before curling up with an episode of The Men Who Made America. We crafted our weekend to-do lists, and while I worked on some favor ideas, John went for a run. We tackled our projects with vigor, but did take a late afternoon respite for a run to the brew store and a stop at our favorite dim sum spots. After steamed buns, pot stickers and John's favorite pumpkin cakes, he turned his attention to beer brewing and the general state of our equipment while I cozied up with some inspiration. Finally we crawled into bed with Vanderbilt, Rockefeller and Carnegie for another episode or two of The Men Who Made America. We were both up early on Sunday, and while John went for a run, I cleaned up my inbox and giggled through a few chapters of Save the Date, my latest fun read. We scrambled eggs and roasted potatoes for breakfast tacos, then curled up to watch an episode of The Men Who Made America we'd thoroughly slept through the night before. Then while I dug into some musicology articles, John tore off scales and edited a competition piece before we both got our blood pumping with a bit of exercise (I enjoyed my ballet-inspired workout with a documentary on La Bayadère). We prepared a simple risotto bianco with just a splash of blanc de blancs from the fridge and sipped Champagne and supped as the fog rolled in. After a stroll through Golden Gate Park, where we spotted our favorite flowers (magnolia and honeysuckle) and a bit more work (including pouring over Pinterest and talking our guest list), we headed to bed with The Men Who Made America–a show we clearly couldn't get enough of this weekend! Tell me, what were you up to this weekend? 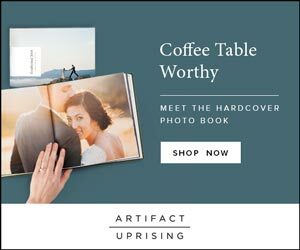 Diving into a new book, tackling a DIY project (we've got a good one I can't wait to share!) or attending a wedding, perhaps? 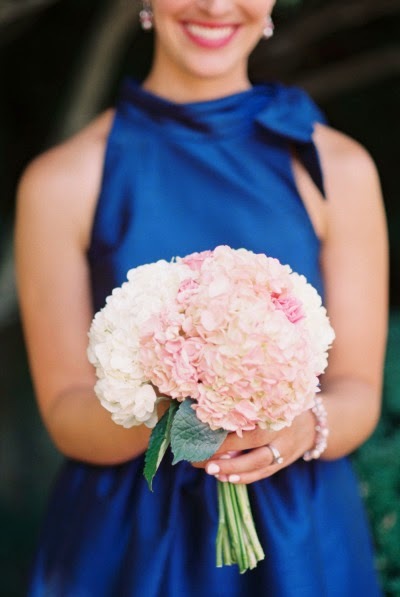 Image by Lisa Dolan Photography, hydrangea bouquet by True Lei Floral. What a lovely weekend. And how fortunate that you get to have your own little private concerts in the comfort of your home. I need to find The Men Who Made America. I am a step from obsession in learning about the "robber barons" and cannot believe I have not seen this. Enjoy the rest of your week. I just love hydrangea season! I miss my home in North Carolina where the neighborhood was full of hydrangeas in August! Sounds like such a nice weekend!! Just perfect. And I'm super curious about The Men Who Made America, now. I'll have to check it out!